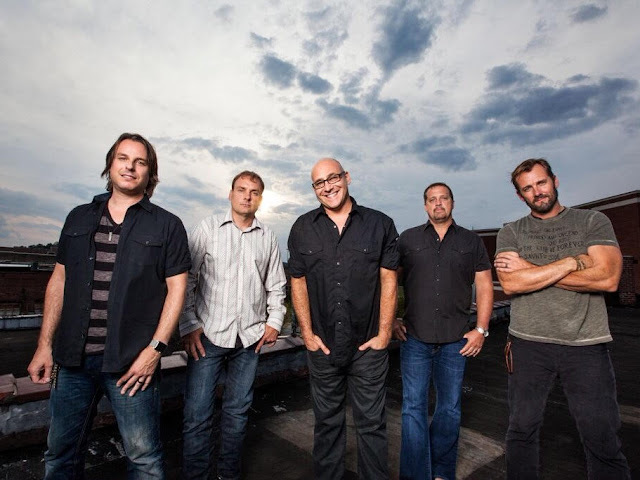 Platinum-selling group, Sister Hazel, will be performing at Granada Theater in Dallas, TX Thursday, April 14. The show will debut some of the brand-new Sister Hazel songs like “Kiss Me Without Whiskey”as well as popular fan favorites like “All For You.” Doors open at 7:00pm and tickets start at $25 for ages 14 and up. For additional information visit http://www.granadatheater.com/event/1150427-sister-hazel-dallas/. In their first showing on the country music charts, platinum-selling band, Sister Hazel, made a strong debut with “Lighter In The Dark” at #4 on Billboard’s Top Country Albums chart, #6 on Billboard’s Independent Albums chart, #30 on Billboard's Top Current Albums chart, and #79 on the Billboard 200 album chart. First week sales of the new CD were 8,352 units. Sister Hazel just appeared NBC's “Today” show. In case you missed it, click here to see the “Today” show performance. For more information on Sister Hazel visit http://www.sisterhazel.com. Originating from Gainesville, FL, Sister Hazel is comprised of five gifted, seasoned musicians whose well-spring of natural talent has been called "one of the Top 100 Most Influential Independent Performers of the last 15 years" by Performing Songwriter Magazine. Song "All for You" topped the adult alternative charts during the summer of 1997 and the success propelled their album to platinum status. Sister Hazel has been equally attentive to connecting with their audience through social media. In their first showing on the country music charts they made a strong debut with “Lighter In The Dark” at #4 on Billboard’s Top Country Albums chart, #6 on Billboard’s Independent Albums chart, #30 on Billboard's Top Current Albums chart and #79 on the Billboard 200 album chart. Living up to their fan-centered reputation, the band hosts annual events like “Hazelnut Hang,” that focuses on fan involvement and are co-founders of the Rockboat, a cruise featuring nonstop opportunities for fan/artist interaction. In addition to the events and touring, the band also gives back with Lyrics For Life. Founded by singer Ken Block, the charity unites musicians and celebrities for concerts and auctions to benefit cancer research and patient-care charities. Although this place is probably not cheap, but they are centrally located, have fabulous staff and delicious food, and most importantly, the best views of the city. I would definitely recommend this event space NYC for any kind of fancy event – all my friends talked about throwing parties here only.